it measures 133 cm wide by 44 tall. so far. 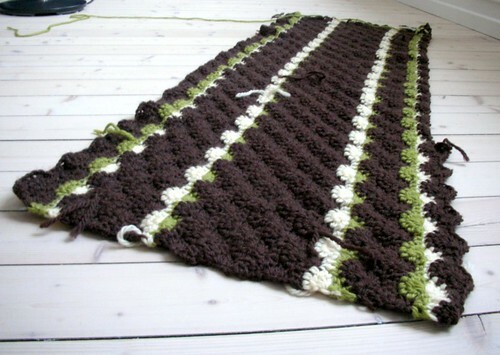 i started with about 230 chain stiches, and with 8 rows per 10 cm it seems i will have to crochet some 160 rows… 35 down. 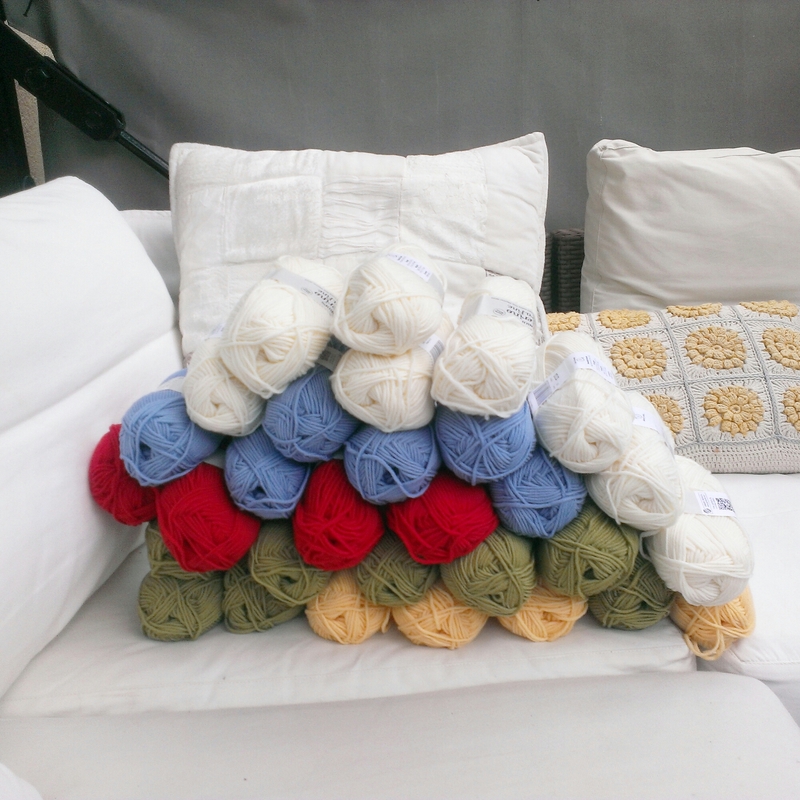 as i blogged about here – i fell in love with the catherine wheel stich. and it’s been running around the back of my head until i finally decided that i wanted to make a blanket using the stitch. 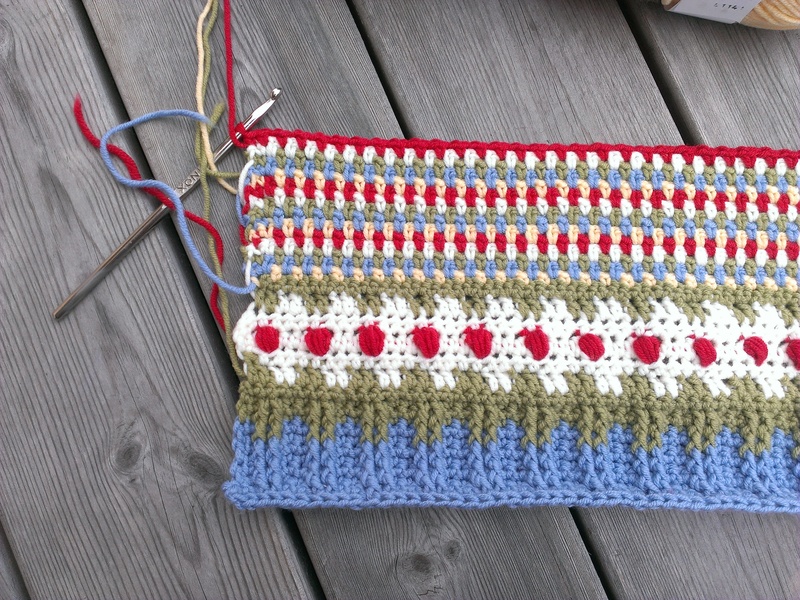 i had to do a little swatching, though, as the pattern EATS yarn like crazy and in order to figure out hook size, gauge, colour, pattern etc. 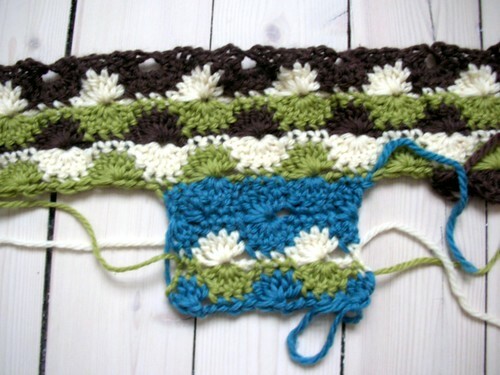 here’s a glimpse of the swatch, i’ve gotten a leap longer, but have to wait for daylight tomorrow to take a picture! i don’t know if it’s possible to see in the picture, but i started with the brown/white/green and the regular pattern, but tested reduced number of stiches in the wheel with the blue/green/white. 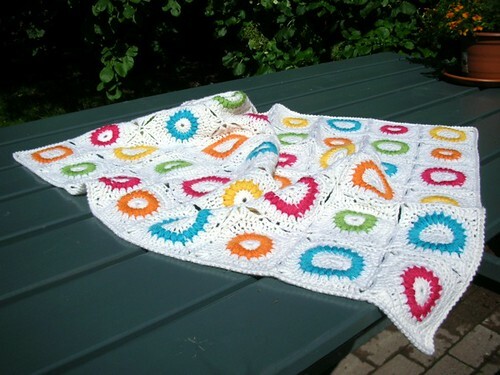 the original pattern calls for a combination of 3 single crochet and 7 double crochet in the wheel, but i reduced 7 to 5 in order to save yarn and time.